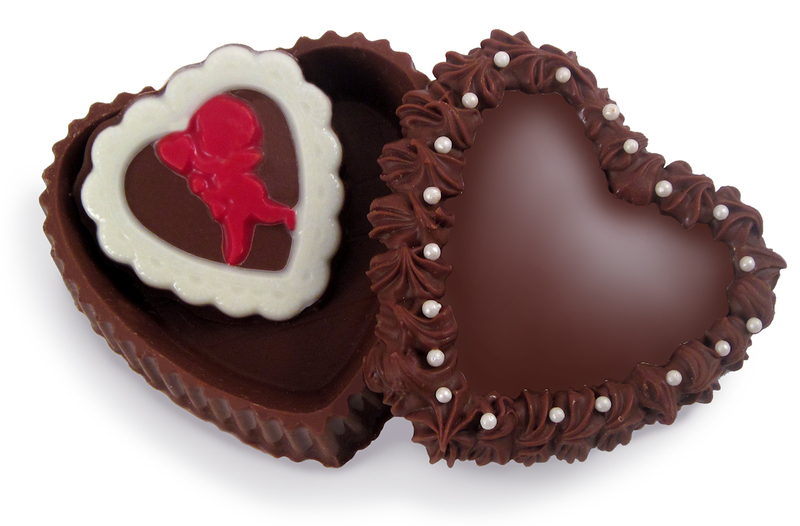 This solid chocolate heart box, adorned with edible pearls, is so pretty and delightful! When she opens the decorated lid, she'll find a charming hand painted solid chocolate heart. Choose milk or dark chocolate!